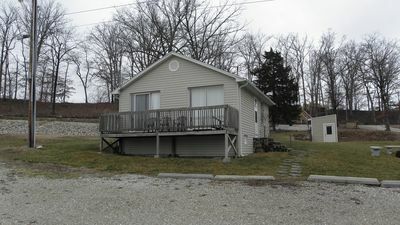 We also offer the 3 Bedroom 2 Bath unit right next door to this condo! 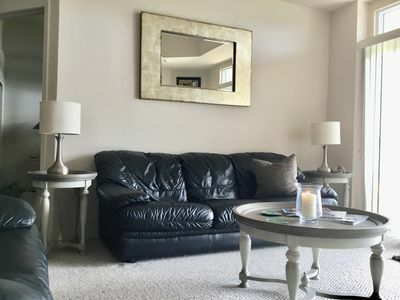 Combined, we can offer 5 Bedrooms and 4 Full Baths! 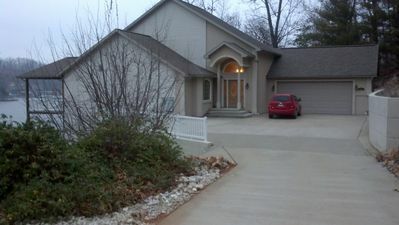 See HomeAway listing 7409700. 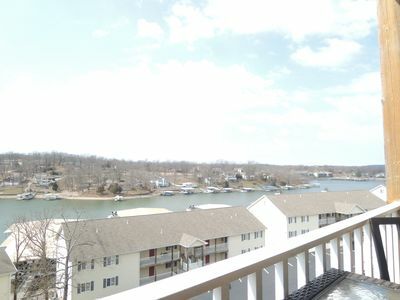 The Ledges is a conveniently located, popular complex in the Heart of Osage Beach. 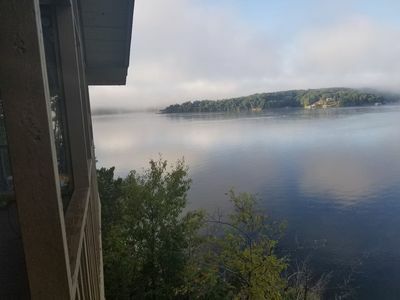 The Ledges offers the hard to find combination of outstanding main-channel views and the serenity of a peaceful no-wake cove. 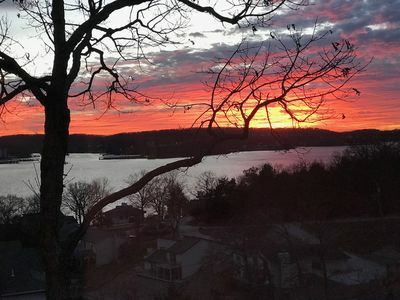 The complex offers two pools, one of which is on the point of the property with a great view of the Lake - also a great location to enjoy the sunset. 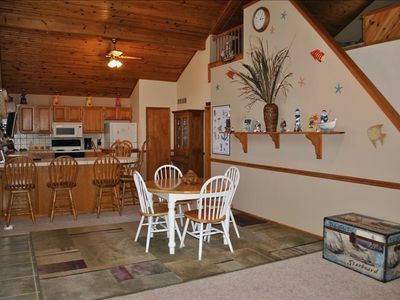 In addition, there is a sandy beach play and swim area that the kids really enjoy! 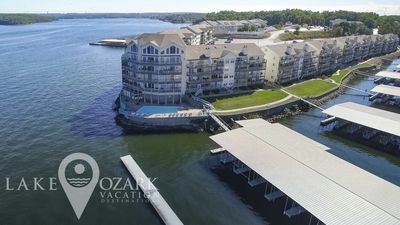 This particular condo is located in Building 6 between the main pool on the point and the sandy beach playground and lake swimming area. The kitchen is equipped with all of the basics for you to prepare meals in and the bbq grill on the deck is ready for grilling out! 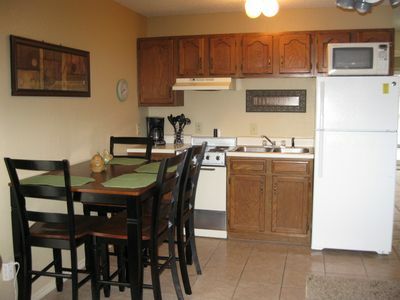 Amenities include Flat Panel HD TV s and High Speed internet with Free Wi-Fi! 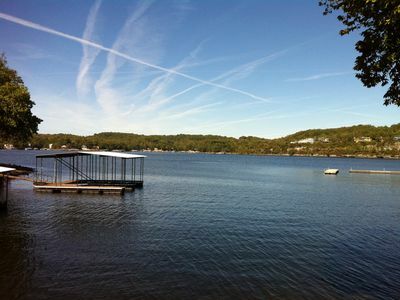 The Master Suite has a Queen-sized bed, private bath, walk-in closet, Cable TV, and a Lake View. The 2nd Bedroom offers Queen and Full sized beds and cable TV. 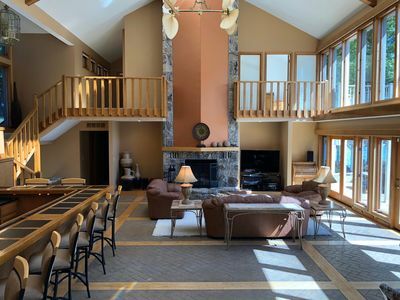 In addition, the sofa converts to a sleeper in the main living area. 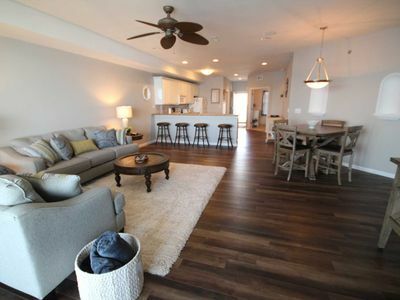 Altogether, the condo can comfortably accommodate 6 to 8 guests. Check-In 3:00 PM, Check-Out 11:00 AM unless otherwise arranged. 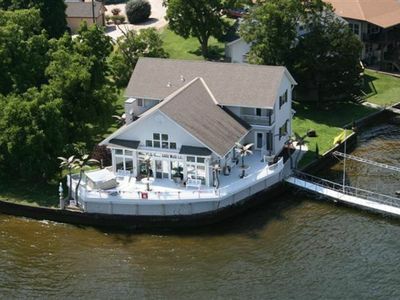 BOATERS:: Our boat slips are close by and available upon request. 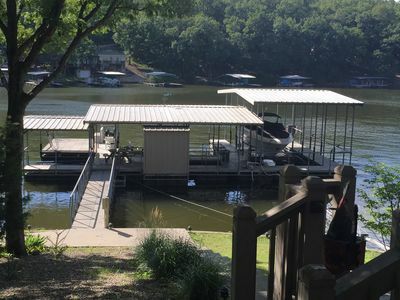 The State Park is just a short drive away and offers very nice ramping facilities as well as short to long-term trailer parking for your Boat or Personal Watercraft Trailer. By water, you ll be on the 20.5 Mile Marker just around the corner from the Grand Glaize Bridge. 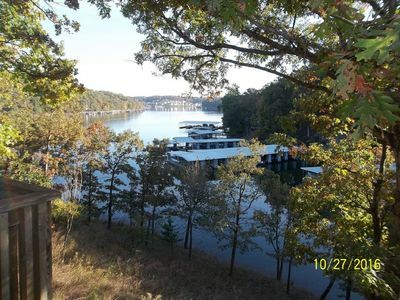 LADIES WEEKENDS:: All the shopping at the Lake is close by! 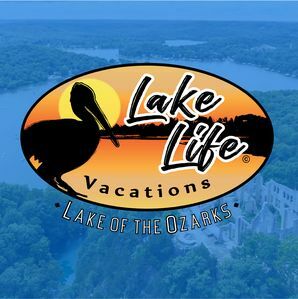 The Lake of the Ozarks hosts the Factory Outlet Village, the largest Outlet Mall in the State with over 110 factory direct outlets. These stores are jam-packed with famous name brand merchandise at prices that will amaze even the most experienced bargain hunters...25-70% savings. Ask me about special coupons! GOLFERS: You ve surely heard of the awesome courses the Lake area boasts. 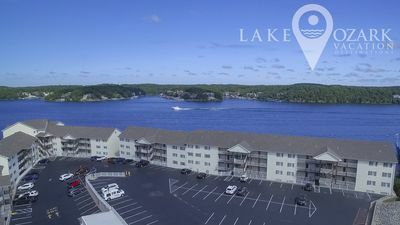 All of them are just a short drive from the centrally located Ledges Complex. Bring those Clubs! FREE NIGHT! NO STEPS To Enter. Cute & Clean. Wireless internet. Pool. 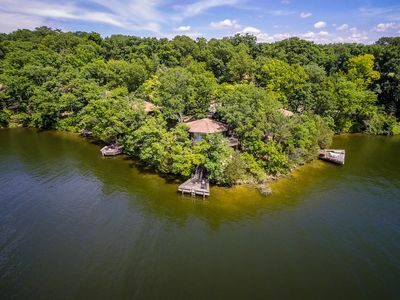 Beautiful 5 BR/5 Acres/Lakefront/7th nt Free/BoatRamp/No Stairs! Parrots Landing~Huge House~ Steps from the pool! 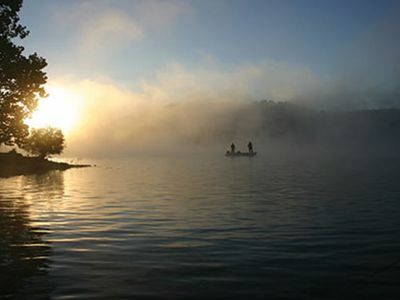 Fishing, horseback riding, boating, hiking and much more! Stunning Panoramic Lake View! Deluxe condo! New to Rental! Updates 2019! LOVD DEAL! 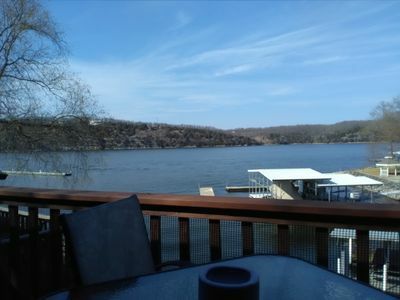 Ledges Point w/ Awesome Main Channel View! 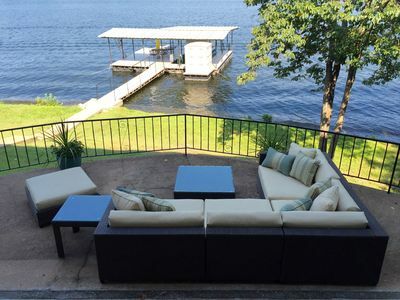 Beach, Dock, Pools, Wi-Fi!